Composite doors are one of the the newest door designs on the market, and therefore feature the very latest in door design. 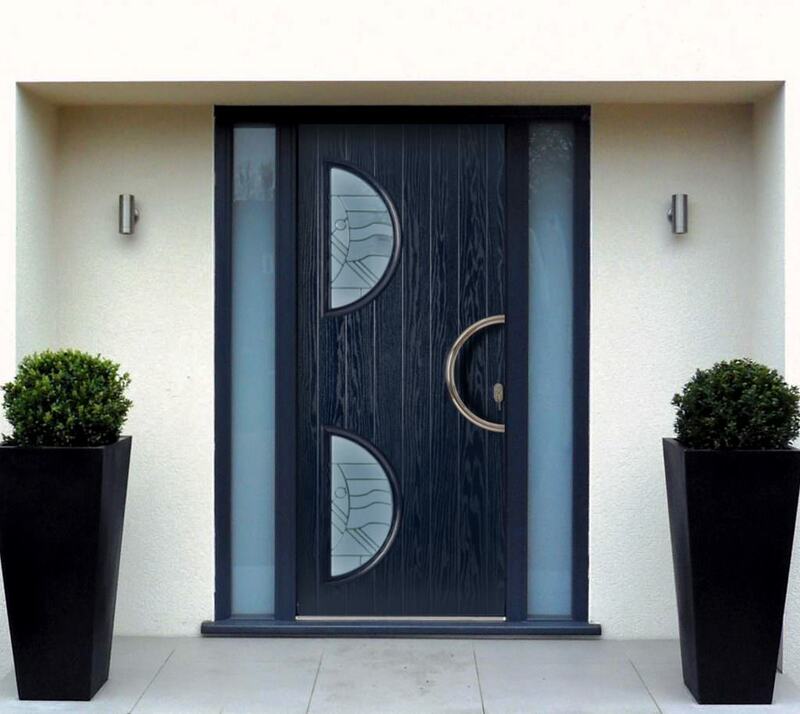 Using a combination of materials, composite doors are intelligently designed to reap only the benefits of each material they use, without any of its flaws. This means that the product is a door that is exceptionally well-rounded, and naturally achieves outstanding levels of natural security, thermal efficiency and durability. Capturing the traditional timber aesthetic, composite doors are always a beautiful focal point to any home. 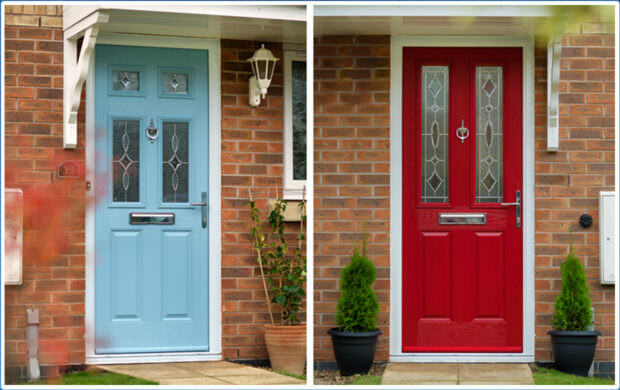 Although they may uphold an age-old appearance, composite doors utilise the full benefits of modern innovation. 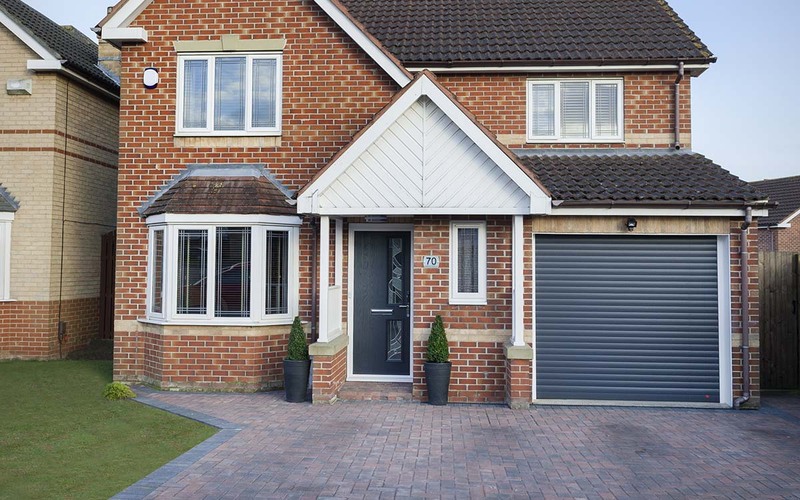 Featuring high-security multi-point locking systems from Yale, and available in a range of colours and designs, our composite doors will not only give you peace of mind, they will also be easy on the eye. We offer our strong and secure Composite Doors throughout Peterborough, Cambridge, Northamptonshire, Lincolnshire, Buckinghamshire and Milton Keynes. 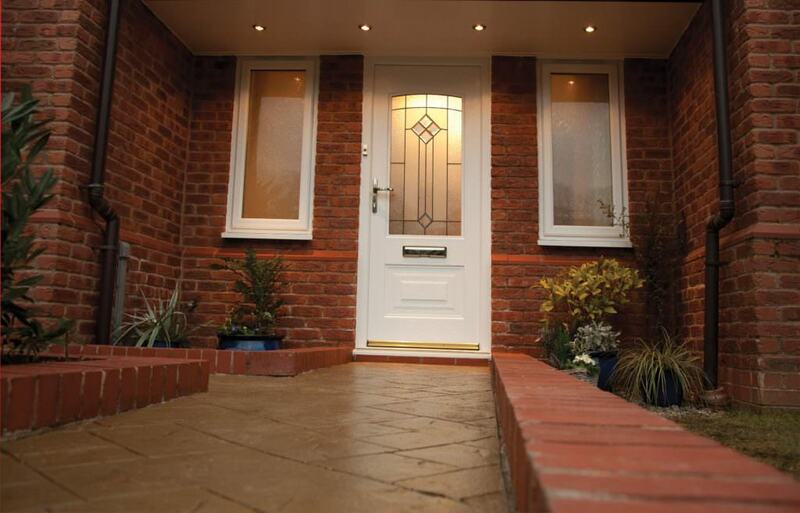 By combining a range of materials, composite doors are naturally very resilient. They are guaranteed to maintain their full and healthy appearance, and will hold strong against anything the weather has to offer. Naturally strong to the core, composite doors are able to offer a high standard of robustness on a base level. This will not only increase your home security; it will also allow you to enjoy your composite doors for many years to come. To ensure the weather doesn’t compromise the comfort of your home, all of our composite doors are completely weather tight. This means that no matter the weather, your home will never suffer from draughts or water ingress. Although composite doors are inspired by the timber look, they bypass any of its setbacks. Our composite doors will never rot, warp or fade, and will only need a wipe with a damp cloth in order to maintain and clean and fresh aesthetic. All of our composite doors are fitted with high security, multi-point locking systems from Yale. When this is combined with the inherent strength of the door build, we can guarantee an unbeatable standard of home security. 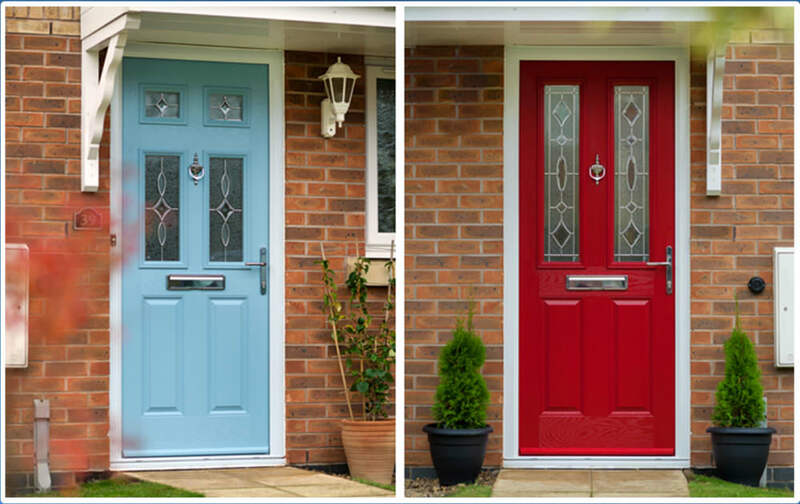 Achieve your perfect composite door look by choosing from our range of colours, finishes and hardware. We’ll make sure that you get the appearance you want, and that our composite doors are a beautiful addition to your home, and a loyal reflection of your tastes. Composite doors comprise of a range of materials including PVC, wood, insulating foam and GRP (glass reinforced plastic). It's this element that allows them to achieve the high quality of standards that they do. Due to the foam insulating core, composite doors display higher levels of thermal efficiency. This increases heat retention in your home, allowing you to enjoy the warmth from your heating for longer. Also, due to the fact that composite doors are the newest addition to the door market, their construction has undergone various innovations that allows current door flaws to be ‘designed out’. Choose composite doors from WFS Anglia Ltd today, and enjoy composite doors that uphold the highest standards of door quality available. We understand that a front door needs to be in synch with your home aesthetic. This is why we offer a large range of colours, finishes and hardware options to ensure that our composite doors either fit in with your home, or make a statement by standing out. You can choose from a range of finishes, that are highly resilient and will maintain their fullness and vibrancy over many years, and even in the face of aggressive weather. Getting the right aesthetic usually comes down to the detail, which is why we offer a range of handle colours. 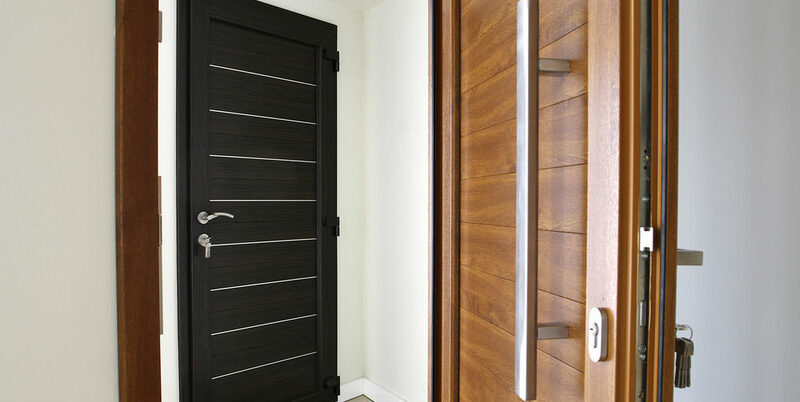 Get the right look, get the right fit, and choose the right door with WFS Anglia Ltd. Interested in our composite door prices? Get a free online quote from us today, and enjoy all the benefits that competitive pricing has to offer throughout Peterborough, Cambridge, Lincolnshire, Buckinghamshire and Milton Keynes. Alternatively, if you feel you require more information you can get in touch with us via our online contact form, where a member of our friendly and helpful team will always be on hand to help with any enquiries you may have.